There's hardly anything better in life than the experience of something you anticipated with great excitement exceeding your expectations. 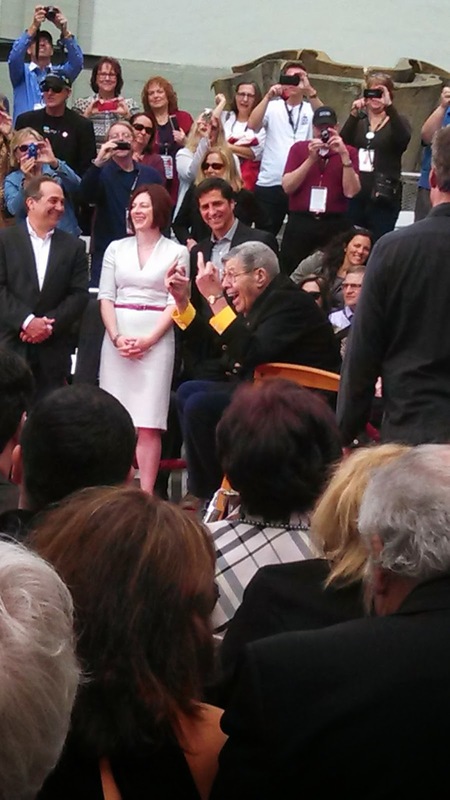 This is what happened on day three of TCMFF, where I started my day witnessing Jerry Lewis' hand and footprint ceremony in the forecourt of Grauman's (TCL Chinese) Theater. It was pure joy. My favorite event of the festival. I had only recently become a fan of Jerry Lewis. 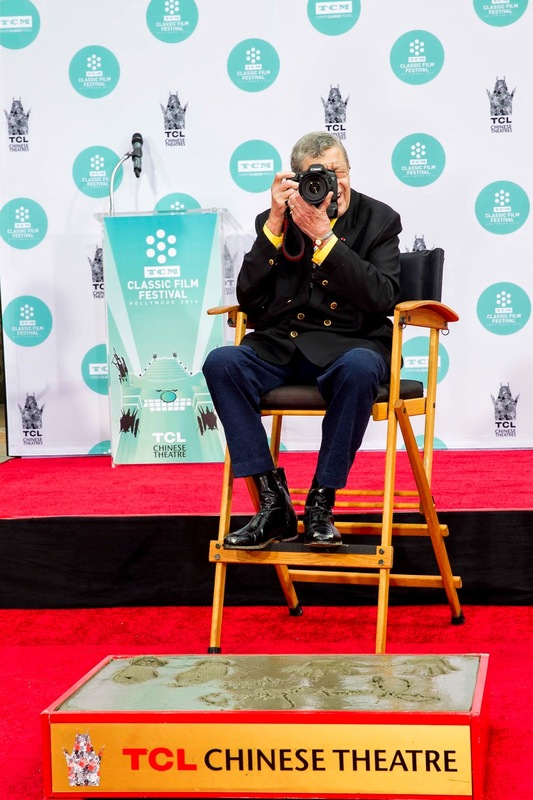 The announcement that he was to be honored at the festival inspired me to watch several of his films in an attempt to understand why he was considered a legend. 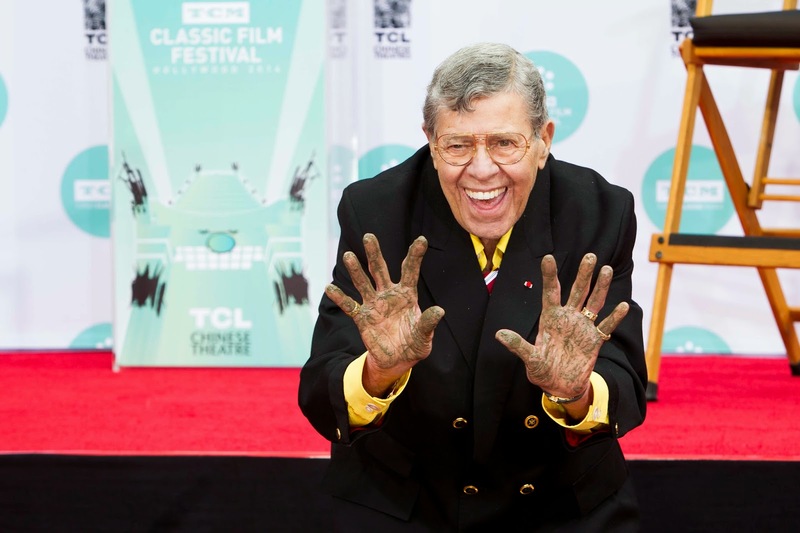 While a lot of those movies were uneven, I did come to adore Lewis. I think he was best on the stage, where the strangely harmonious blend of meticulous planning and improvisation inspired by the energy of a crowd brought out his edgy, wild charisma. This is why I wanted to see Lewis go free form. I thought he would be great in an interview, but brilliant totally off script. I was not disappointed. The press had to show up an hour and a half before the ceremony, and there was a lot to see. It was exciting to watch a group of men preparing the cement for Lewis. No one ever thinks of these guys, but where would we be without them? 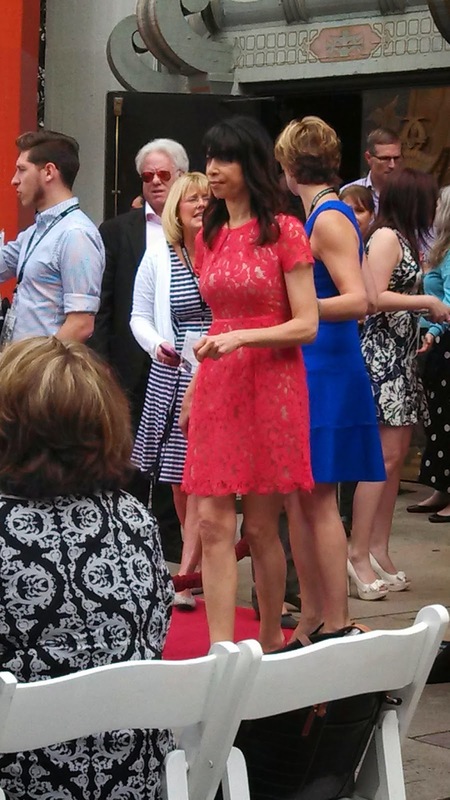 It was also lots of fun to watch random celebrities milling around, calm, but probably aware that they were constantly being photographed. 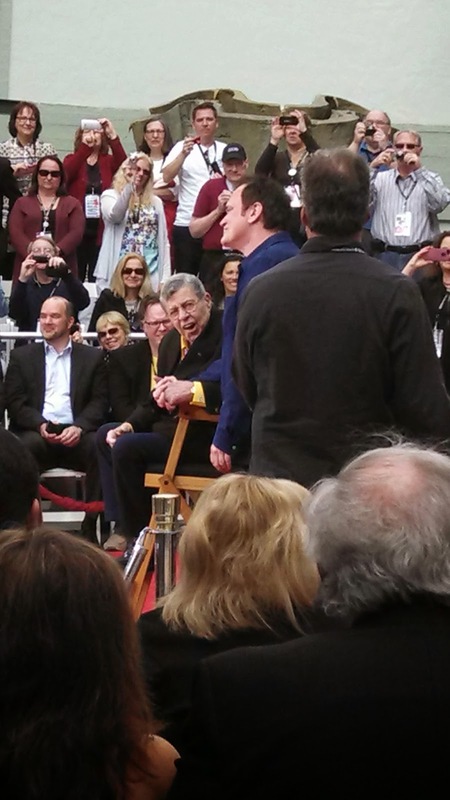 It wasn't unusual to see TCMFF regular Illeana Douglas there, but I did a double-take when I saw comedian Richard Lewis. He still wears the same black t-shirt and suit. 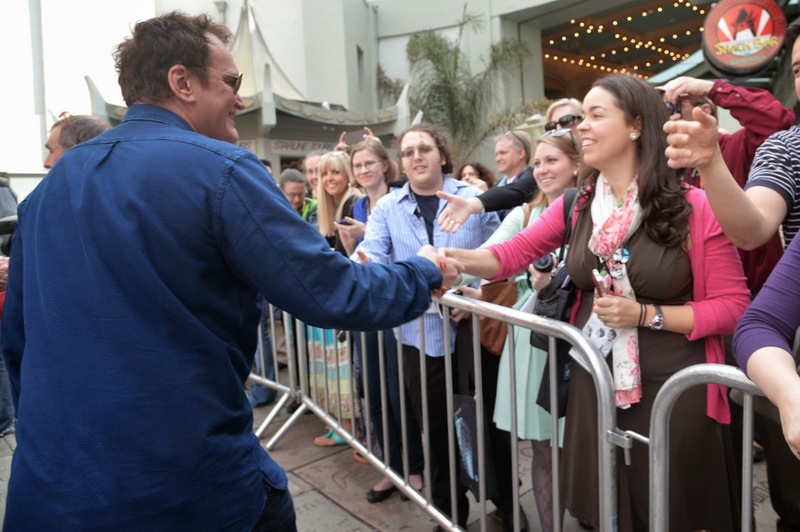 It was even more surprising to see Quentin Tarentino! I had no idea he was going to show up. Then he was on. Silly, insulting, unpredictable and loving every minute of being there. I think he's looking at his wife and daughter here, but he also loved looking at the fans. The ceremony went by quickly, but I felt more than satisfied by the experience. It was a great performance by a man who loves to play for the crowd. I was really excited and happy in that moment, and I'm delighted it was captured on film. This was my favorite event of the festival because it had some of the most spontaneous, exciting and unexpected moments. 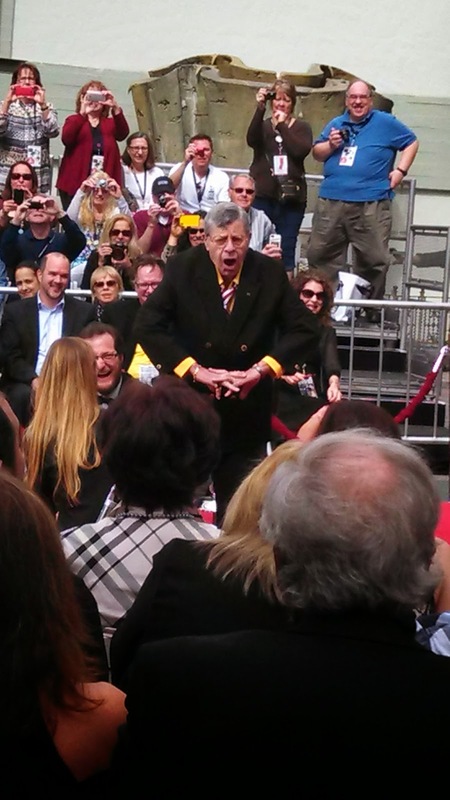 And seeing Jerry Lewis! It's just amazing when a star you admire turns out to be exactly as you'd hoped. 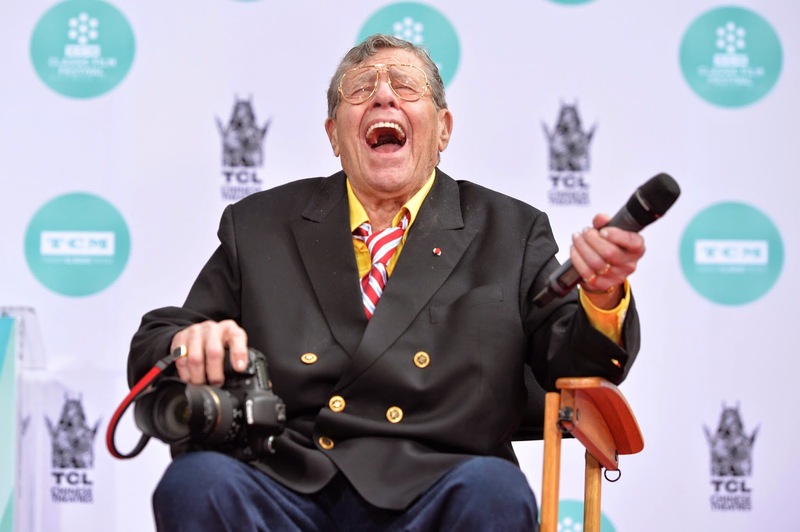 That's one of the things I love about TCMFF: I raced out on a table full of people before I'd even ordered and no one thought that was odd. There's so much to see at this festival that you almost lose your mind, but in the best possible way.